Finally, the wait is over! 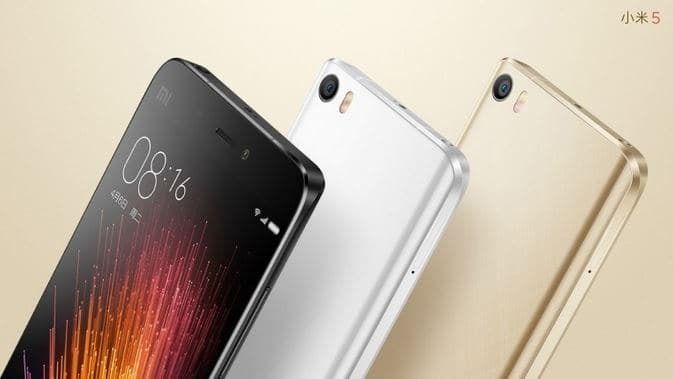 After lots of leaks and rumors, today Xiaomi unveiled their Mi5 officially, which would be the latest flagship from the Chinese smartphone giant. Xiaomi held two events, one at China where they unveiled Mi4S and a global event at MWC 2016, Barcelona to unveil their latest flagship to the world. The Mi5 sports a beautiful 5.2inch IPS LCD full HD curved display. It has been one of the top devices to have the Snapdragon 820 processor, apart from other devices launched at MWC like Samsung Galaxy S7 and S7 Edge, LG G5 & Sony Xperia X series smartphones. Not just the processor, it also has 4GB of RAM and Adreno 530 GPU to take your multitasking and gaming experience to a whole new level. But before we move on, let’s take a quick look at the key specifications of the phone. The Snapdragon 820 on Mi5 has a KRYO CPU architecture which boosts the performance by 200% with a 50% less power consumption, as compared to Snapdragon 810. Xiaomi also dumped EMMC and introduced UFS 2.0 Flash which is 87% in case of read and write speeds, compared to EMMC. The device houses a 4000mAh battery and also, QuickCharging 3.0. Also, in terms of connectivity, it has has VoLTE and 4G+ or LTE Advanced, whatever you want to call it. Mi5 got a hardware home button for the first time, just like Samsung Galaxy S7 and also the home button works as a fingerprint scanner. The phone sports a Sony IMX298 16-megapixel camera sensor, capable of shooting 4K videos along with a 4MP 2μm front camera. It also introduces something totally new- 4-axis OIS, which will ensure shake-free images and videos. The phone will be available in three colors- Gold, White, and Black, from March 1st in China and will be available in India soon. 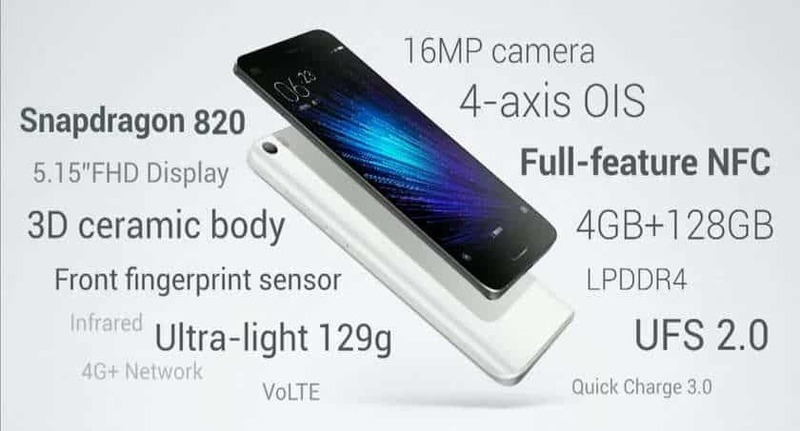 The top of the Mi5 lineup, Mi5 Pro will also be introduced. Based on the specs, there are three variants which will be priced differently, here’s the list. Next articleFacebook Reactions: Now globally available! !